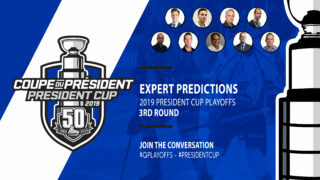 A long-standing Eastern Division rivalry will be rekindled in the opening round of the 2019 President Cup Playoffs when the Rimouski Oceanic faces off against the Chicoutimi Saguenéens. The best-of-seven series opens on Friday night in Rimouski. The Oceanic wrapped up the regular season with a third-place finish in the Eastern Conference thanks to a 44-20-4 record. With 92 points, this marks the second year in a row in which it eclipsed the 90-point barrier. The Saguenéens finished the year on an impressive seven-game winning streak, lifting its record to 39-22-3-4 and 85 points, good for sixth in the Eastern Conference. Chicoutimi won four of the six games between these two clubs in the regular season series. Their last meeting took place on March 5th in Rimouski, when Hendrix Lapierre, the top selection in the 2018 QMJHL Draft, registered three points and Alexis Shank steered aside 36 shots in a 4-1 Saguenéens victory. The last victory for the Oceanic over their adversaries from the Saguenay region occurred at home on February 6th. On that night, Alexis Lafrenière, the projected top prospect for the 2020 NHL Entry Draft, tallied a natural hat trick to pace his club to a 5-4 come-from-behind victory. 2019 marks the 12th consecutive season in which the Oceanic have secured a postseason berth. 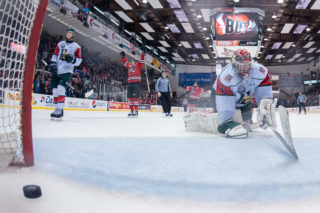 They will be looking capture their first series win since 2015, when they defeated the Quebec Remparts in a seven-game thriller to capture their third President Cup title. Rimouski’s other league titles came in 2000, when they also skated away with the Memorial Cup, and in 2005. Last season saw the Oceanic fall in seven games to the Moncton Wildcats in a first-round upset. The Saguenéens, who have qualified for the playoffs an impressive 19 years in a row, fell in the first round of the 2018 President Cup Playoffs to the Acadie-Bathurst Titan in six games. Chicoutimi’s last series victory came during a lengthy playoff run in 2017. 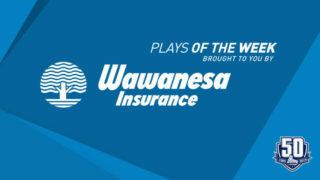 After first dispatching the Victoriaville Tigres in four games and the Rouyn-Noranda Huskies in seven contests, they were defeated in six games by the Saint John Sea Dogs in the league Semi-Finals. The Saguenéens boast two President Cup Championships (1991 and 1994). They last qualified for the league final in 1997, where they were swept in four games by that year’s Memorial Cup Champion, the Hull Olympiques. 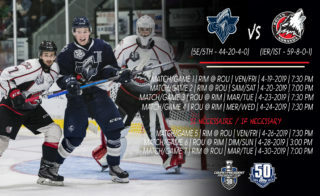 Rimouski was led on offense by Lafrenière, whose 105 points were good for a second-place tie in the league scoring derby. Veteran center Jimmy Huntington, acquired from Victoriaville at the 2018 QMJHL Draft, completed his final season in the “Q” with 92 points, including a team-leading 40 goals, while Charle-Edouard D’Astous led all QMJHL defensemen with 66 points in 55 games. 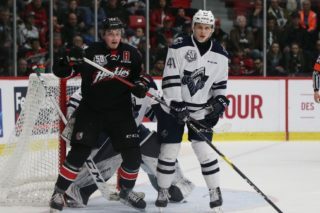 In nets, Colten Ellis and Tristan Bérubé, a deadline deal acquisition from the Gatineau Olympiques, held the fort for a Rimouski club that finished tied for third in fewest goals against this season. The Saguenéens top scorer in the regular season was crafty Russian winger Vladislav Kotkov, who recorded 34 goals and 61 points in 65 games. Acquired from Acadie-Bathurst in the off-season, Justin Ducharme also posted a 30-goal campaign for the Sags. The club also boasted a pair of talented 16-year-olds in Lapierre (45 points in 48 games) and Théo Rochette (43 points), who both finished seventh and eighth respectively in the rookie scoring race. While veteran Morgan Nauss and rookie Russian import Artemi Kniazev helped anchor a solid blueline, Shank sported a 27-11-1-3 record between the pipes while finishing among the league leaders in save percentage (.913%) and shutouts (four). The two teams are no strangers to one another when it comes to postseason play. This will be their seventh playoff battle since 1996. 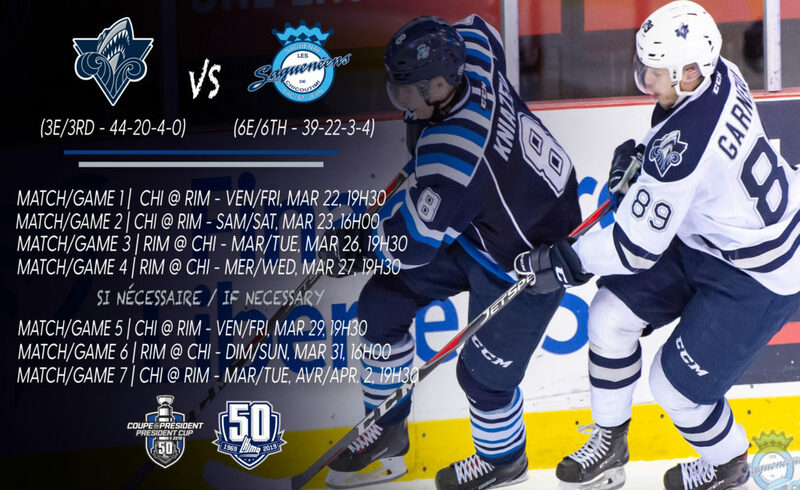 Rimouski has taken the last four series between the two clubs, the latest a first-round, four-game sweep in 2014. 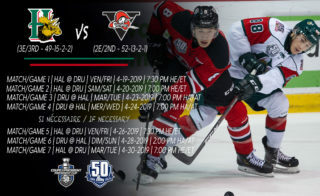 The Saguenéens’ last postseason triumph over the Oceanic came all the way back in 1997, a four-game victory in a best-of-five first round encounter. The Oceanic will be hoping some strong family bloodlines will carry them to a long playoff run this year. At the trade deadline, the club acquired D’Artagnan Joly from Victoriaville. Joly’s brother, Michael, a member of the 2015 Rimouski squad, scored the President Cup winning tally for the Oceanic during that postseason run.